Come and learn with Aorta, the best java training institute in Chennai offering the best platform to learn and get the depth of Java. Like any other course in Aorta, this course is built to allow candidates to learn the specific skill set of Java language to create very attractive and highly functional software and web pages. 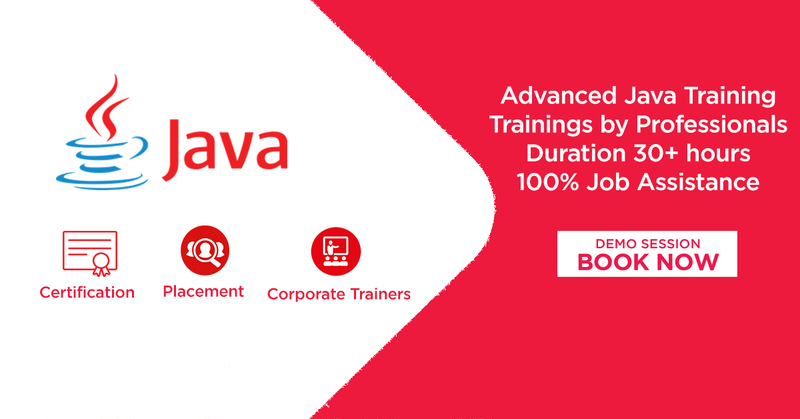 Being one of the best java training institutes in Chennai, we also possess the best and well versed trained java experts who will teach you the incredible features of Java and how you can make use of it professionally. Learning core java provides an excellent platform for the people who want to start a promising carrier in the IT sector. It is the most accepted language in the market. Java is the fourth generation object-oriented programming language which is quite portable, simple, robust, platform independent and highly secure web application. It is used anywhere and everywhere, right from your mobile devices to your washing machines and refrigerators. It is also one of the world’s most widely used web development programming languages. Millions of companies across the world make use of this language. Any Undergraduate or Postgraduate who are looking out to make build their carrier in software development can very well do this course. Are You Looking for Advanced Java Training in Chennai from Any of These Areas? Aorta Digital Services Velachery is few kilometres away from your location. If you need the best Java Training traveling a extra kilometres is worth of it and looking forward to meet you!